Depending on your life season, sometimes finances can be tight. It doesn’t help that the price of everything is going up, including clothing! I have seen #5 in action, and can say it is a lovely thing. It really works. I have used tip #4 too many times to count, so I can attest that it works as well. However, always have your ear to the ground when it comes to using it. Many times, I have gotten brand new clothes for less than this tip just by constantly checking out clearance racks. 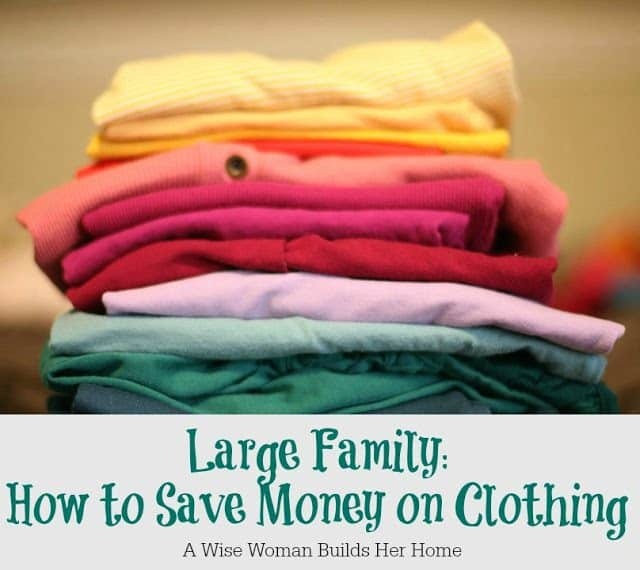 If you’re looking for ways to save money on clothes for your family, you’ve got to check out these tips! Click here to save money on clothing!